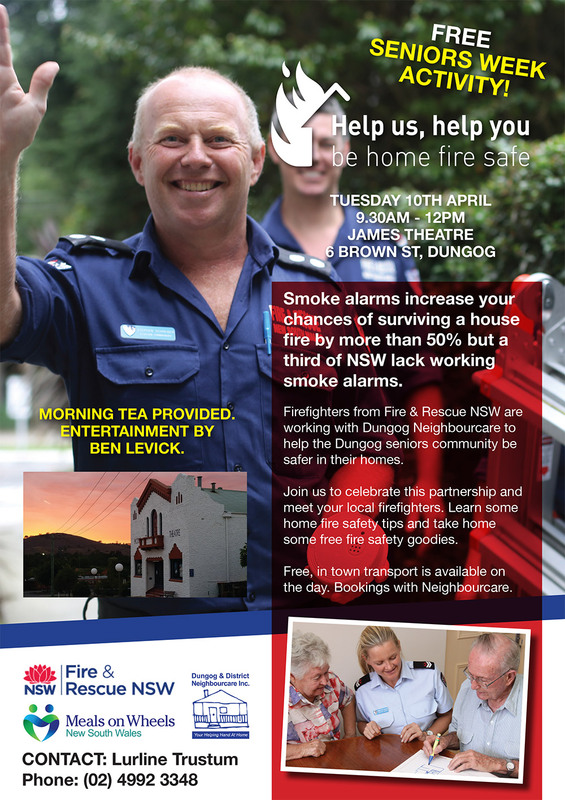 Fire fighters from Fire & Rescue NSW are working with Dungog Neighbourcare to help the Dungog seniors community be safer in their homes. Join us to celebrate this partnership and meet your local fire fighters. Learn some home fire safety tips and take home some free fire safety goodies.